One of the quirks of living near a Great Lake is that the Great Lakes are, truly, great. Whether it’s Michigan or Erie or, in your editor’s case, Ontario, these are very large bodies of water. You can easily spend an entire day (not even counting border delays) driving all the way around one of the Great Lakes – or, as in this Site of the Week installment, just going from the middle of one side of the lake to the middle of the other side. Welcome to Belleville, Ontario, at roughly the midpoint of the north side of Lake Ontario. 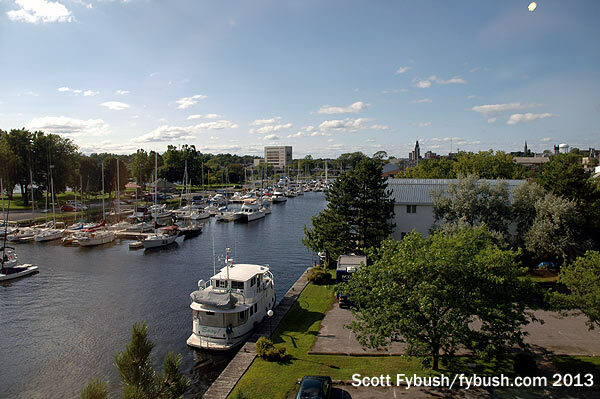 By air (or radio wave, or boat), it’s only 70 miles or so from the port of Rochester over here to this pretty port city just about due north across the lake. But until they build the bridge or dig the tunnel from my side of the lake, it’s at least four hours of driving around the end of the lake to get over to Belleville. Instead of the nonstop traffic clog that is greater Toronto on the western end of the lake, we opt for the east side, a 260-mile drive through Syracuse, up into the Thousand Islands, across the bridge into eastern Ontario and then along the teatureless blur of the 401 expressway westward into Belleville. 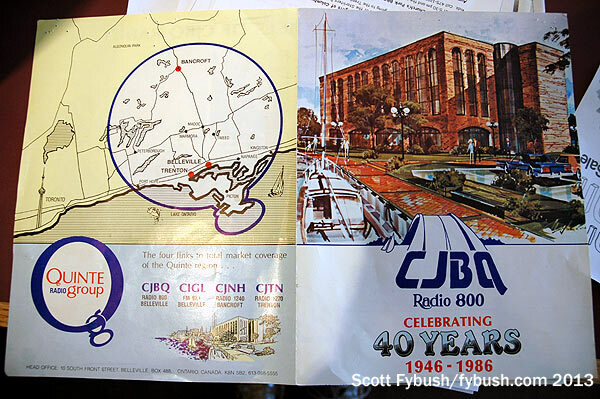 For the last 50 years, CJBQ and its Quinte Broadcasting sisters have been in the hands of a single family, and today it’s the fourth generation of the Morton family at the helm here. 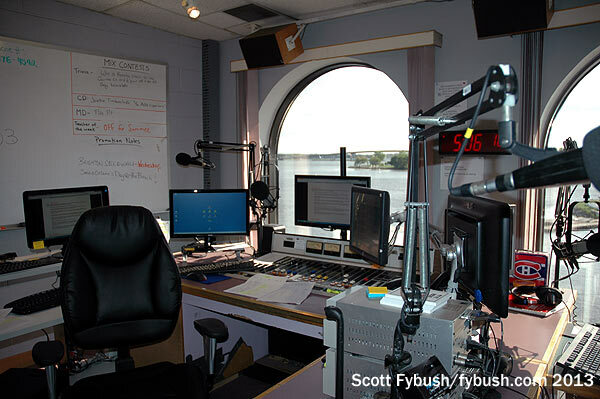 There are three stations in the Quinte Broadcasting family up here on the top floor of the building, enjoying a spectacular view of the harbo(u)r and the Bay of Quinte beyond it to the south. 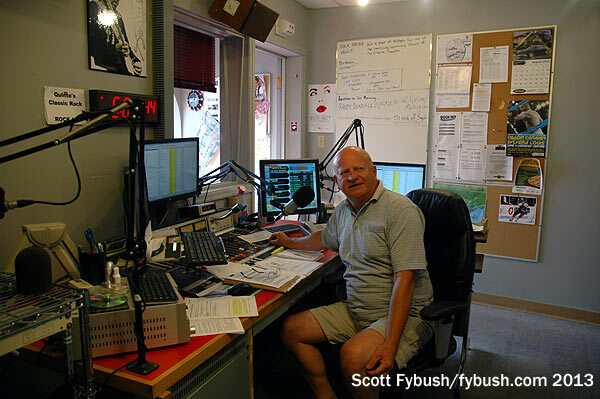 We’ll see all three, but we’re here with radio buddies George Greene (he of the big International Falls trip of 2005) and Jerry Bond to join in their annual summer visit to spend an afternoon with CJBQ’s afternoon oldies host, the fabulous Freddy Vette. 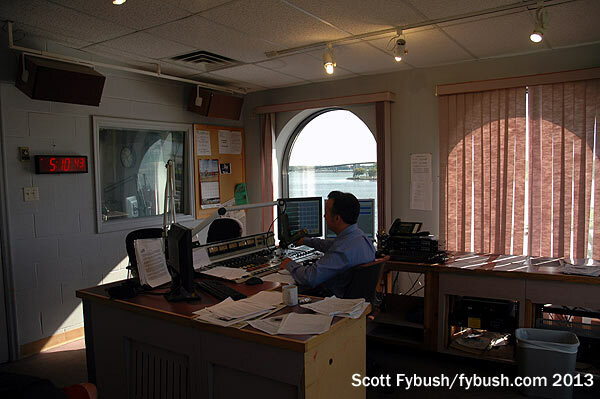 Freddy’s afternoon oldies show is just one part of the block programming that makes CJBQ a most distinctive station these days: there’s country music during the full-service morning show, talk middays, Freddy’s classic oldies sounds in the afternoon, John Tesh’s soft AC at night, and it all combines to form a station that’s still a top biller and ratings-grabber in the market. 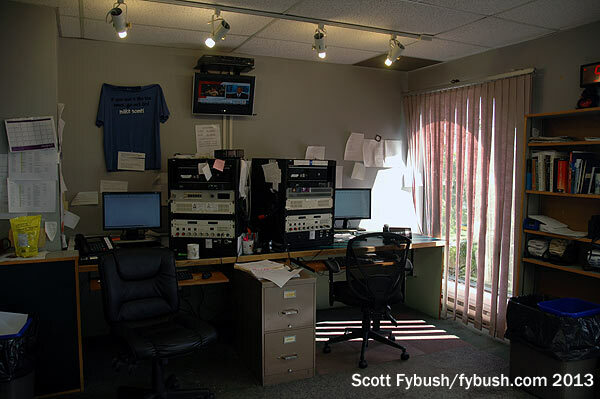 The main air studio looks into a talk studio that’s used for the midday show; that, in turn, looks into the newsroom that provides an extensive news product to CJBQ and its sister stations. 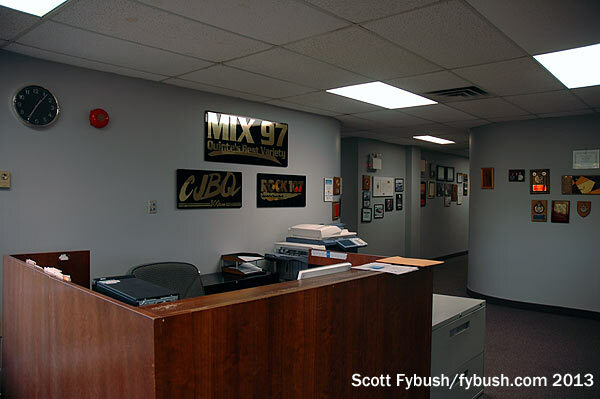 CJTN moved to FM in 2004, initially as “Lite Rock” and more recently as a full-fledged rocker, using a studio down the hall from its two sisters right here in Belleville. 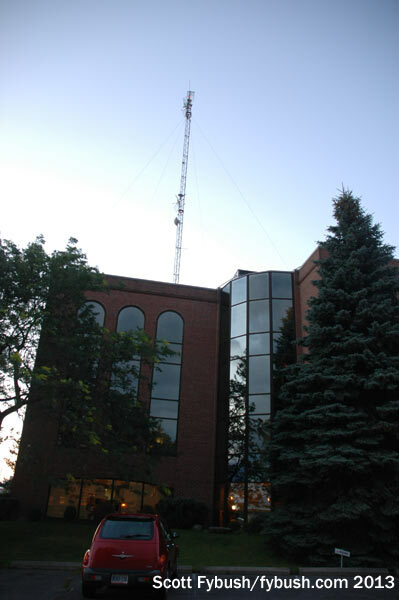 It no longer has offices or studios in Trenton – and indeed, there’s not even a “Trenton” anymore, since that community was amalgamated into the larger municipality of Quinte West a few years ago. 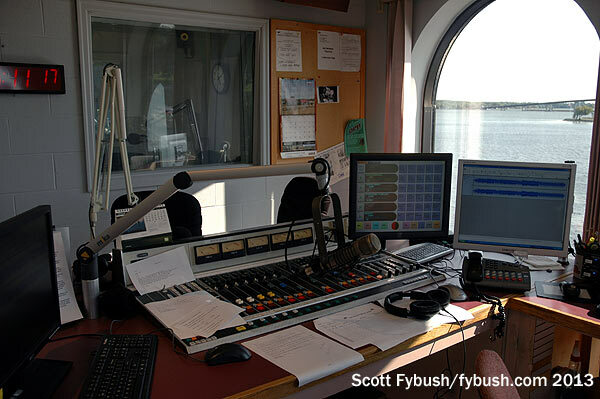 After Freddy’s signoff, there’s just barely enough daylight left to go over the bridge to Prince Edward County, the island that sticks out into the lake south of Belleville and the Bay of Quinte. 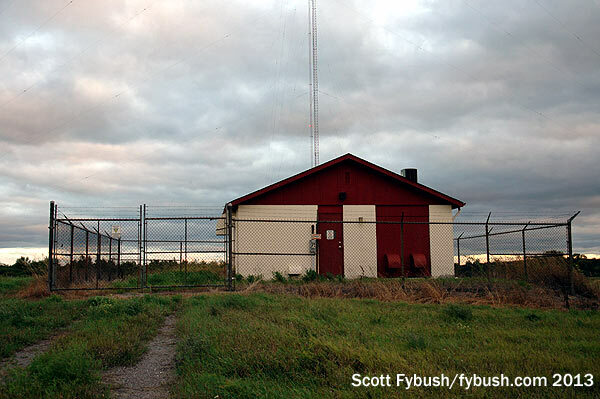 CJBQ’s six-tower array sits on the western end of the island, where it’s one of a small handful of Canadian AMs that actually sends a significant signal to the south. 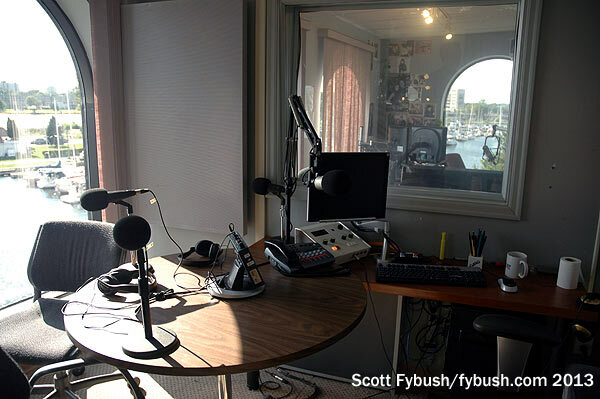 That matters, in this context, because many years ago, when your editor was just a ’70s kid with a GE AM transistor radio, it was a chance dial spin that landed at 800 – “What? I can hear a station from a whole different country?!? 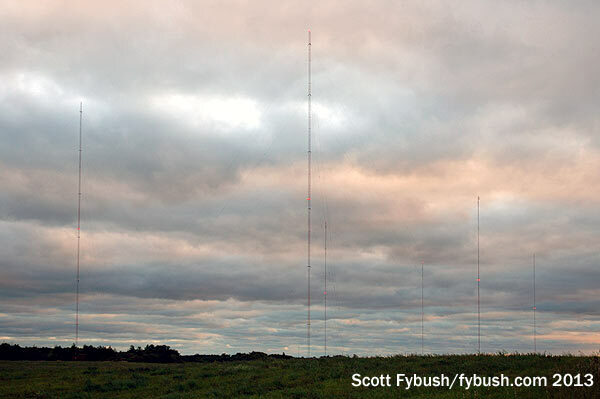 !” – that played a big role in getting me started with the radio bug. 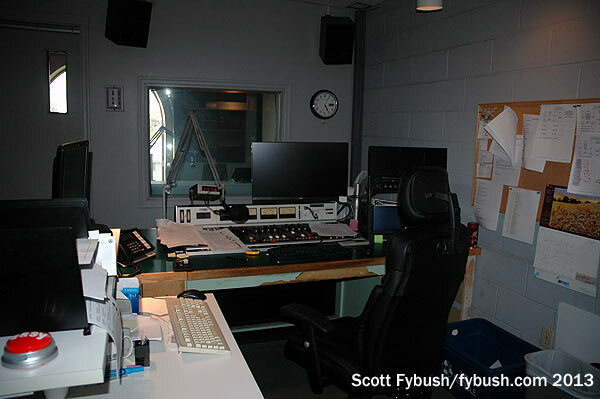 One more picture before we close out this week’s look at Belleville: we mentioned that the Quinte Broadcasting cluster is one of two commercial station groups in town, and here’s a quick exterior peek at the other one. CJOJ (95.5) signed on in 1993 as AC “OJ 95,” though that brand suddenly stopped making sense not long afterward thanks to one Mr. Simpson. 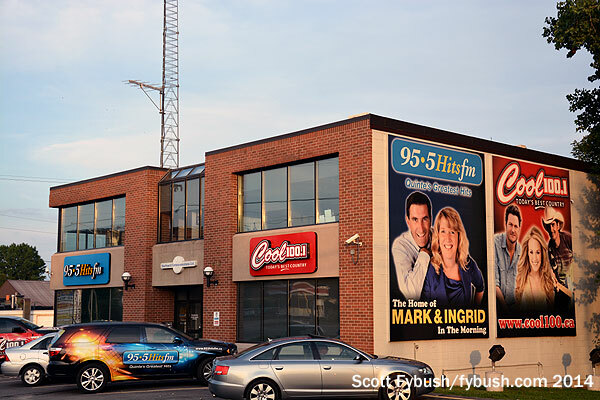 Today it’s “95.5 Hits FM,” and it’s had a country sister since 2001, CHCQ (100.1), known these days as “Cool 100.1.” They’ve been in their current building just west of downtown on Dundas Street since 2010, and they make up the other half of a rather unusual market these days: this may well be the biggest market anywhere in Canada without any of the big corporate owners in town. 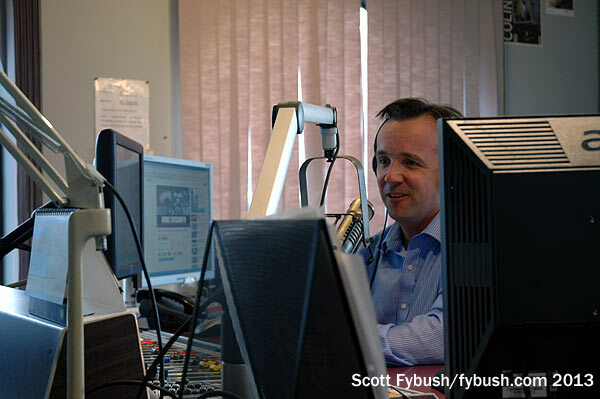 Thanks to Freddy Vette for the visit – and to CJBQ for getting it all started, way back when! 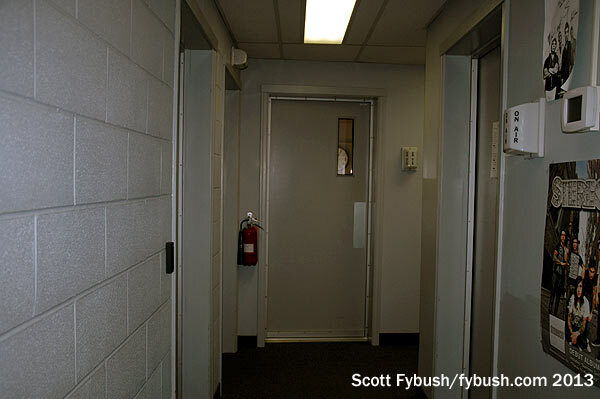 And don’t miss a big batch of Quinte and Kingston IDs next Wednesday, over at our sister site, TopHour.com!